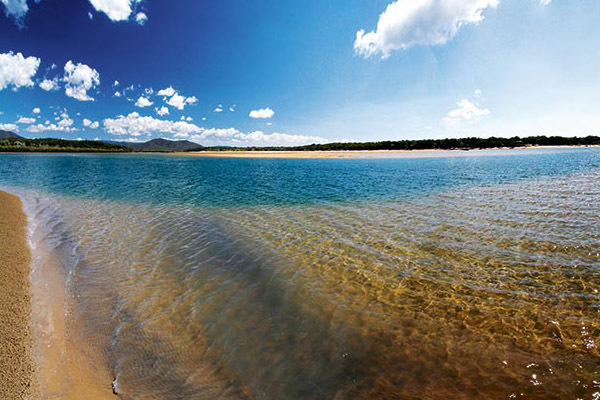 Eurimbula National Park’s extensive beachfront, pristine waterways and diverse woodlands make it one of the Queensland’s most popular destinations for eco-tourism in many forms – surfing, boating, fishing, camping, bushwalking, 4WDing – within just 20km of the twin towns of Agnes Water and Seventeen Seventy. 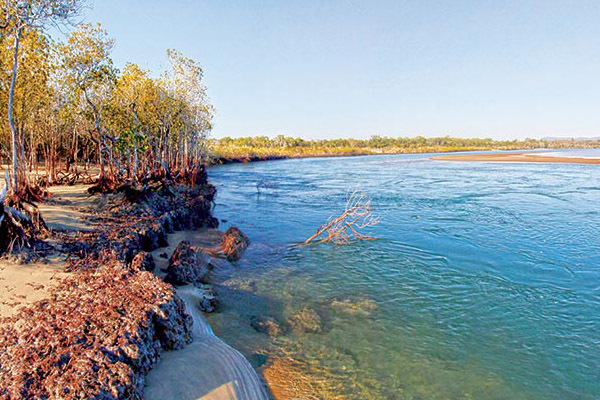 With all of this on offer, we decided to hitch up Tikay (our offroad Kimberley Karavan) and head north for our annual ‘winter escape’ (yes, even Queenslanders do this), to experience first-hand the delights of this sub-tropical wonderland. Not having visited the twin towns before, we spent a couple of days exploring these resorts with a village vibe while getting acclimatised. Both are located on a small peninsula that is the closest mainland point to the coral cays and reefs of the southern Great Barrier Reef. 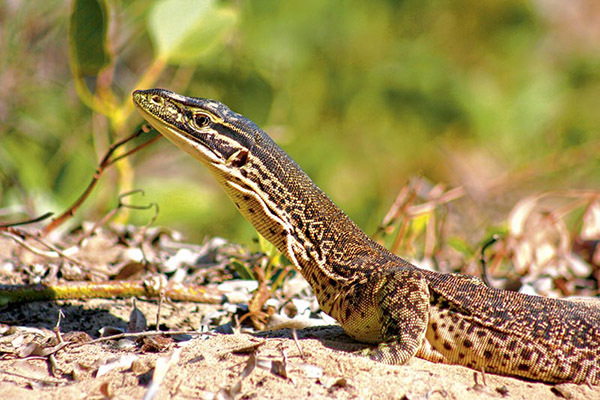 To the north of the village, the Sir Joseph Banks Conservation Area occupies most of Round Hill Head, with two lookouts offering panoramic views, one at the tip overlooking the entrance to Bustard Bay, and the other facing east over a small rocky cove open to the ocean. There is also another seafaring monument – a concrete plinth bearing the anchor of the MV Countess Russell, driven on to nearby Wreck Reef by a gale in 1873 – serving as a simple memorial to the numerous vessels that came to grief on the Discovery Coast during the 19th century. The town of Agnes Water is located on the eastern side of the peninsula and, continuing the district’s maritime tradition, takes its name from the schooner Agnes, which disappeared in local waters in 1873, leaving no trace of wreckage or survivors. In 1883, Daniel Clowes and his wife Rachael took up the first pastoral lease in the locality and their gravestones are preserved under a spreading fig tree in Tom Jeffery Memorial Park near the centre of town. Grazing, sawmilling and tourism sustained the local economy throughout the 20th century and, by 2001, Agnes Water had become the principal commercial and industrial centre in the region. Today, the town is a popular holiday destination and famous among surfers for being the most northerly surf beach on the East Coast. In the book 101 Best Australian Beaches, co-author Andy Short rates it number one in his personal top 10 and, from what we could see, this ranking was well justified, with its 6km stretch of golden sand fringing a turquoise sea. After several days’ immersion in the twin towns’ laid-back lifestyle, we were itching to explore the magnificent natural environment of Eurimbula NP. From Agnes Water, we headed west for about 10km along Round Hill Road to the signposted turn at Eurimbula Road toward the national park. This was a well-maintained, unsealed road for about 4km to another junction inside the park, from which the right fork led 9km to our destination at the Bustard Beach camping area on Eurimbula Creek, and the left to Middle Creek camping area 14km to the north. After this junction, the eastbound road deteriorated markedly, with potholes and corrugations, until, about 4km further on, it changed again to a narrow, soft sand track, with no turn-arounds and few pull-out shoulders. The area was low-lying in places and we crossed a couple of dry watercourses that might make passage difficult in the wet. Due to the nature of the track, QPWS recommends high clearance 4WD vehicles with low range capacity and offroad camper trailers (or small boat trailers) only; the road is not considered suitable for conventional vehicles including AWDs or caravans. Also, this venue is popular with campers and day-trippers at any time, so it’s recommended to watch out for other vehicles and wildlife – like the turkey driving way too fast on a blind bend who nearly wore our LandCruiser as his new bonnet ornament! Nevertheless, despite the track and the traffic, this was a very scenic drive through a landscape that changed from eucalypt woodland to littoral rainforest dotted with weeping cabbage palms, pandanus and elegant hoop pines. We soon arrived at the camping area and had no difficulty selecting ‘the perfect spot’ from among the many shady sites nestled among the forest behind the beach – all of them within a short walk to the beach and handy to a huge picnic shelter (that looked cyclone-proof) and a large tank dispensing rainwater (although it is recommended to bring your own drinking water). 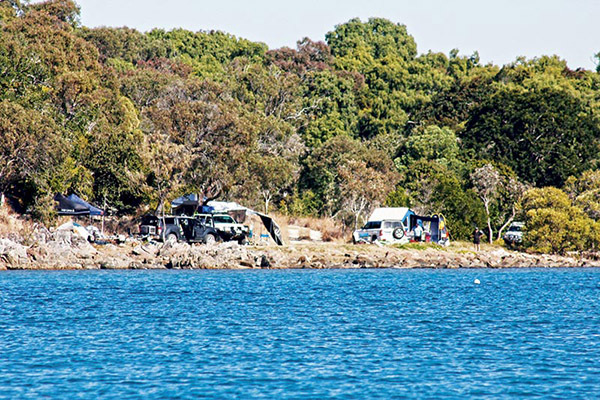 Whereas the caravan parks in town were packed almost to capacity, there were only a few campers in residence here, joined temporarily by day-trippers who fished from the banks of the creek or launched their tinnies to ply its upper reaches among the mangroves during high tide (sandbars and snags making navigation difficult at low tide). If you’re tempted to bag a few muddies while you’re up there, don’t – Eurimbula Creek is a mud crab sanctuary and heavy fines apply to those who transgress. For our part, we were content to walk the many kilometres of broad sandy beach under the watchful gaze of white-bellied sea eagles and swim in the clear temperate waters that lapped the shoreline – which, incidentally, became our front row seats for the technicolour light show at each blazing sunrise and sunset. We interrupted our hectic schedule for a drive up to Middle Creek to check out the other camping area. Along the way, we stretch our legs on the 700m-return walk up to Ganoonga Noonga Lookout for a panoramic view over the park’s forested lowlands and beyond to Bustard Bay. The 14km northbound track beyond the fork was moderately rough but easily navigable in our LandCruiser for most of its length. The track crossed several low-lying sections, one of which had been overlaid with road rubble through a flood-prone paperbark grove and another (without rubble) where a vehicle sunk to its axles attempting a passage in the wet. Further on, we crossed Eurimbula Creek, which was totally dry at the time but can render the route impassable when in flood, as we judged from the big gate with a ‘Road Closed’ sign swung open on one bank. 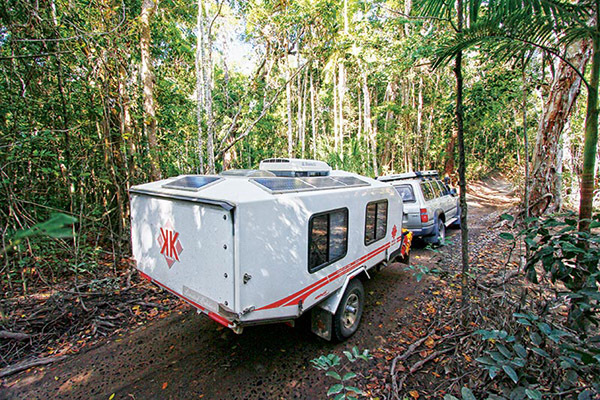 As we approached the camping area, the narrow gravel track degenerated to soft sand as it passed through the rainforest, before emerging into a clearing near a boat launching area on the banks of Middle Creek. There are no defined sites and we found several boaties bivouacked among the trees in camps to accommodate their tents, marquis shelters and tinny trailers. Other, more open, sites were spacious enough to accommodate camper trailers with annexes and, it has to be said, they looked mighty comfortable on the few grassy sites overlooking Middle Creek. Its seclusion and picturesque creek-side location make this a popular destination for campers looking for a real ‘back to nature’ experience – apart from composting toilets and fire rings, there are no facilities here. The tide was way out at the time of our visit but, when it’s up, the waters of Middle Creek lap the shoreline barely metres below the peripheral campsites, bringing nature and the fish to your very doorstep. 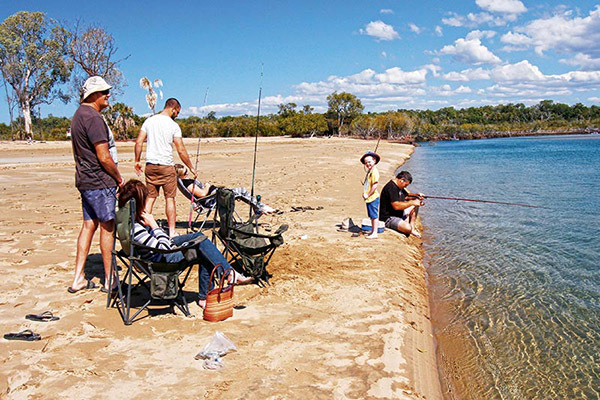 While on the subject of remote camping, it should be noted that the 23,000ha Eurimbula NP includes isolated sections at Rodds Peninsula and Bustard Head at the northern lip of Bustard Bay, which are only accessible by boat and have no facilities whatsoever – so BYO everything and be warned, mobile phone coverage is generally not available there. 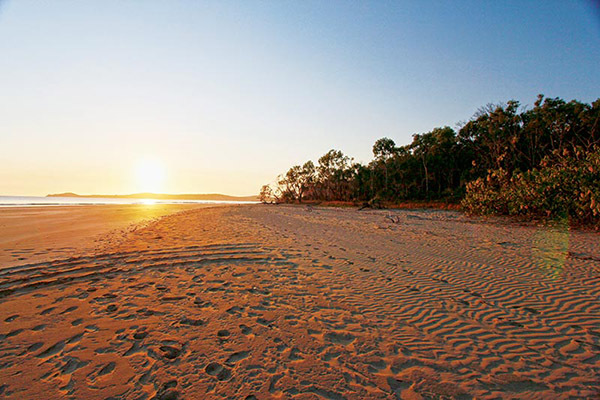 Back at camp, watching the sunset from the comfort of our easy chairs, we reflected upon the many natural wonders of this magnificent national park on the Discovery Coast, and agreed that it was, without doubt, a quintessential Queensland experience to be here. What a pity Cook and his crew couldn’t spare a few more days on their visit to enjoy it. 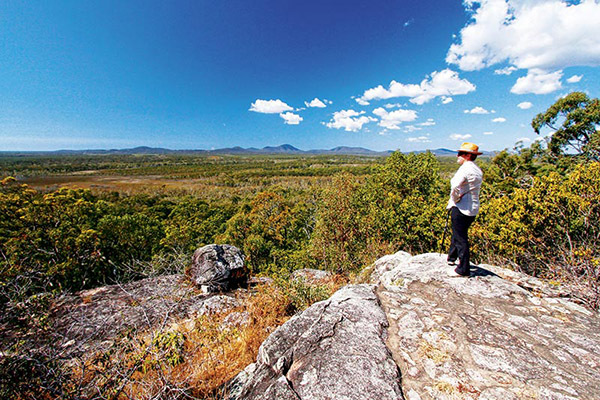 The Eurimbula National Park is 112km from Bundaberg. From the Bruce Highway at Miriam Vale, take the Agnes Water-Seventeen Seventy Road and turn left at the Eurimbula NP sign 10km before Agnes Water. Camper trailer friendly camping is available at Bustard Beach camping area, 15km inside the park. 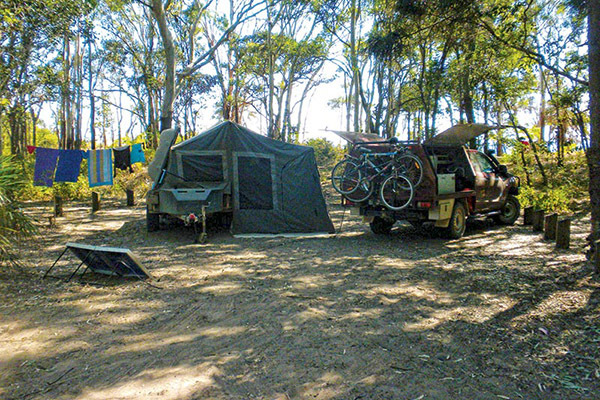 The QPSW says Middle Creek campground is best for camping with a 4WD and tent, however, many of the sites were big enough for camper trailers. Limited facilities at both campsites include pit toilets and fire rings with access to a rainwater tank and picnic shelter at Bustard Beach. Visit Agnes Water Visitor Information Centre at 71 Springs Road, Agnes Water or phone (07) 4902 1533 for information on the ‘twin towns’. Check out the full feature in issue #95 December 2015 of Camper Trailer Australia magazine. Subscribe today for all the latest camper trailer news, reviews and travel inspiration.